Our goal is to include new trends without losing the characteristics of items hand made by artisans. We continue adding integral hand made artisan pieces to our collection. We make jewelry that uses natural materials and is designed specifically for you at very competitive prices. Our rapid growth in the Spanish market, since our beginning, is due to our pride in a job well done. This has allowed us to cross borders and become one of the leading jewelry exporters to countries such as the United States and Russia. 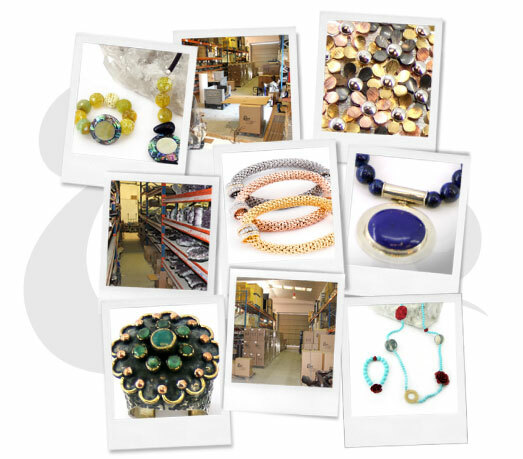 Among our firms creations you can find necklaces, bracelets, and pendants made with diverse materials such as wood, agates, mother of pearl, corral, cornelian, onyx, and an extensive variety of semi-precious stones. All products are deliberate mixes of elements that include a profound knowledge of the country where the stones originate from and keeping in mind the final design of each unique piece. Our collection also includes exotic pieces, called exotic due to their irregular shape, with links. The common thread uniting all our pieces is sterling silver.